See the right InfoBox for the Repository, or Download. 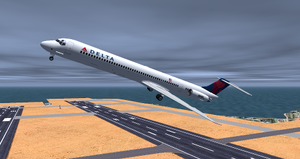 Remember to rename the aircraft's folder to "MD-88". This page was last modified on 3 May 2017, at 21:08.